Today’s photo comes from Ken Putnam in New Hampshire. 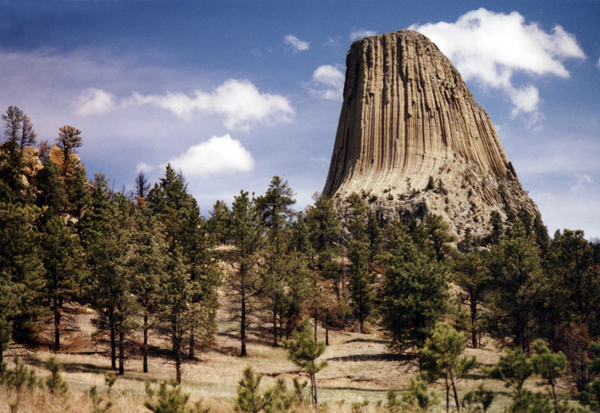 It’s a view of the iconic Devil’s Tower in Wyoming – but interesting in that it’s not the orientation that we normally see. Beautiful. Have a shot you’d like to share? Simply send your JPEG or TIFF file to us here: info@thechristiangift.com – and be sure to add any information you’d like us to include along with it. The subject matter can be anything – nature, a person, a pet, objects. Tell a story – or simply show us something interesting. Your choice!